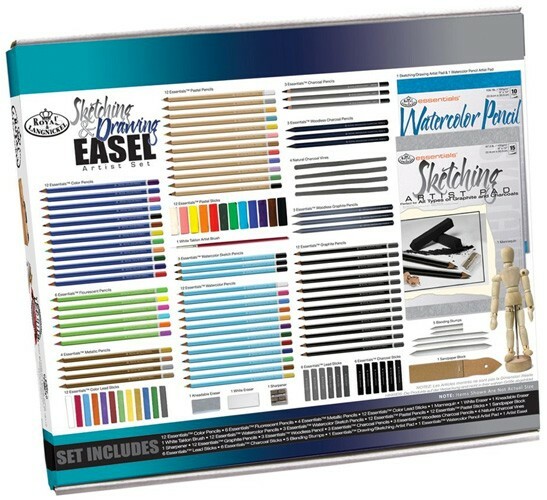 Royal & Langnickel Sketching and Drawing Easel Set is a comprehensive 124 piece collection of artist materials ideal for the beginner, student, or artist. 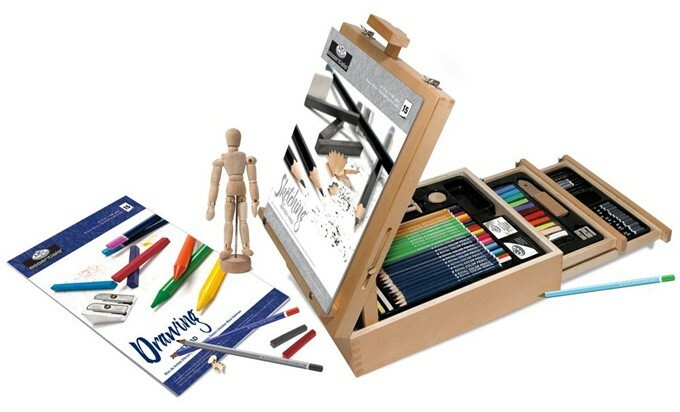 A wide assortment of pencils, pastels, and charcoals fit into a chest, which converts into a sturdy table-top easel. 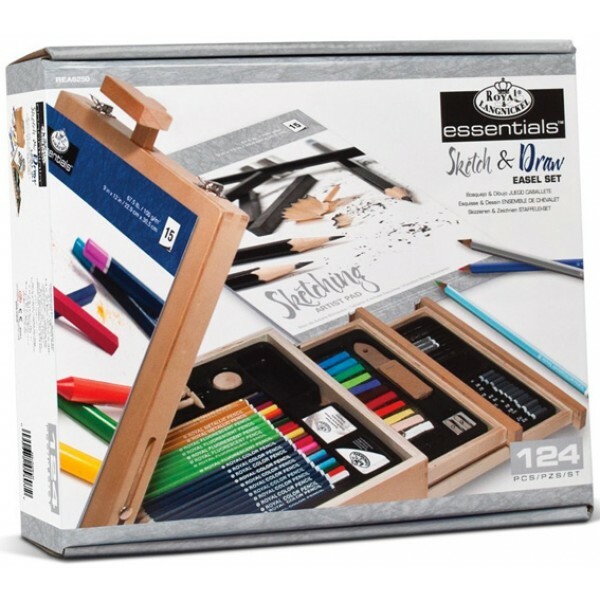 The mast and holders for the easel assemble quickly and easily, then simply remove and conveniently store in the chest when traveling. 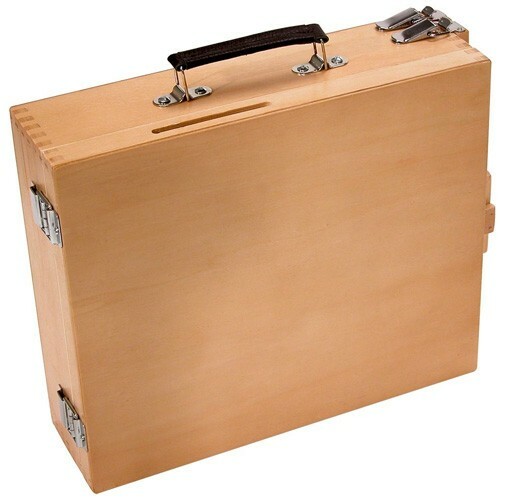 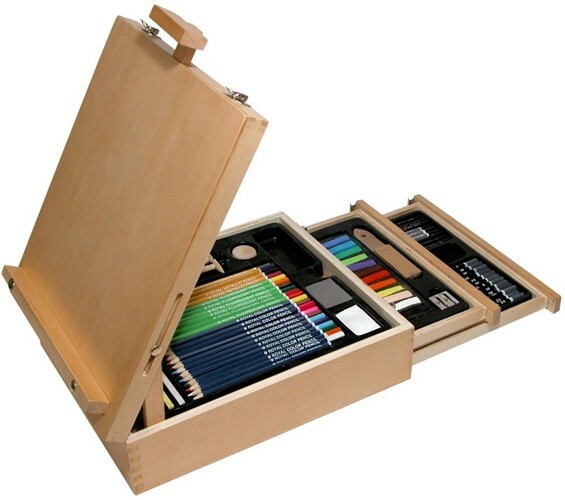 The quality constructed wooden case, hinged and latched, will stand up to extensive use by your inspired artist! 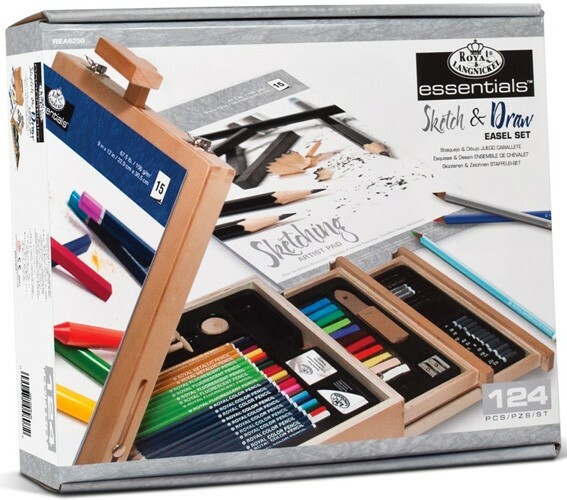 This set includes 12 color pencils, 6 fluorescent pencils, 4 metallic pencils, 12 compressed graphite sticks, 1 mannequin, 1 white eraser, 1 kneadable eraser, 1 white taklon brush, 12 watercolor pencils, 3 watercolor sketch pencils, 12 pastel pencils, 12 pastel sticks, 1 sanding block, 1 sharpener, 12 graphite pencils, 3 woodless pencils, 3 charcoal pencils, 3 woodless charcoal pencils, 4 vine charcoal, 6 compressed graphite sticks and 1 easel/storage box.